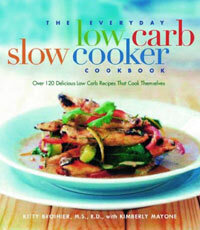 In The Everyday Low-Carb Slow Cooker Cookbook the authors have created over 120 delectable low-carb recipes that cover everything from breakfast to dessert and take full advantage of the timing and convenience of a slow cooker—all you need to do is add the ingredients to the pot, close the lid, and by mealtime, a hot and delicious low-carb meal will be ready and waiting. 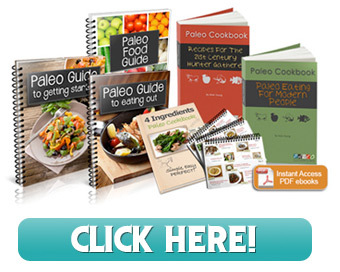 What makes this one stand out from the many slow cooker books out there is not just the low-carb aspect, but also the fine range of flavors and ingredients presented. Here are a few of our favorite “who would have thought you could do that in a slow cooker” dishes… Creamy Blueberry French Toast Casserole; Mixed Sausage with Fennel; French Onion Soup; Thai Red Curry Chicken; Pork with Roasted Red Peppers, Herbs and Olives; Classic Country–Style BBQ Pork Ribs; Faux Potato Salad; Peanut Butter Fudge Cake with Peanut Butter Drizzle.